Anxiety disorders and schizophrenia are common public health issues. The dried stigma of the plant Crocus sativus L., (C. sativus) commonly known as Saffron are used in folk medicine for various purposes. Several lines of evidence suggest that Crocus sativus, Crocin and Safranal are implicated in Anxiety and Schizophrenia. Here, I intend to critically review advances in research of these emerging molecules for the treatment of anxiety and schizophrenia, discuss their advantages over currently used anxiolytics and neuroleptics, as well remaining challenges. Current analysis shows that C. sativus and its components might be a promising class of compounds for the treatment of the above mentioned psychiatric diseases. Crocus sativus, is a perennial herb member of the Iridaceae family, the line of Liliaceae. This plant is cultivated in many countries such as Azerbaijan, China, France, Greece, Egypt, India, Iran, Israel, Italy, Mexico, Morocco, Spain and Turkey. Its product is the well-known spice called Saffron. Saffron, in filaments, is the dried dark-red stigmas of Crocus sativus flower. One stigma of saffron weighs about 2 mg and each flower has three stigmata; 150,000 flowers must be carefully picked one by one to obtain 1 kg of spice. Saffron has a distinct colour, flavour and odour. It is used both as a spice for flavouring and colouring food preparations, and as a perfume. The stigmas of it are also used in folk medicine as an anticatarrhal, eupeptic, antispasmodic, expectorant, emmenagogue and nerve sedative. Further, Saffron has widely been used in Persian traditional medicine for memory problems. The present review was designed to critically assess the role played by Crocus sativus and its active constituents in anxiety and schizophrenia since the current pharmacotherapy for both these diseases is not satisfactory. Chemical analysis of Crocus sativus stigmas has shown the presence of about 150 volatile and non-volatile compounds. Fewer than 50 constituents, however, have been identified so far. The volatiles consist of more than 34 components that are terpenes, terpene alcohols and their esters among which Safranal is the main component. Non-volatile compounds comprise Crocin, Crocetin, Picrocrocin and flavonoids (quercetin and kaempferol). In particular, Crocins, glucosyl esters of crocetin, are water-soluble carotenoids and are responsiblefor Saffron’s characteristic colour. Picrocrocin, glycoside of safranal, is responsible for the bitter taste of the spice and is the precursor of safranal. Safranal, the main component of the distilled essential oil, is a monoterpene aldehyde, responsible for its characteristic aroma. Anxiety may be interpreted as an emotional anticipation of an aversive situation and is reflected by species-specific behavioural fear responses to stressful and threatening stimuli, characteristic for individual trait anxiety. Anxiety disorders including generalized anxiety disorder (GAD), specific and social phobias, post-traumatic stress disorder (PTSD), obsessive-compulsive disorder (OCD) and panic disorder are a major public health issue worldwide. To date, anxiety disorders have been treated with medications that target -aminobutyric acid (GABA) and serotonergic neurotransmission, like benzodiazepines, partial agonists of the serotonergic 5-HT1A receptor and selective serotonin re-uptake inhibitors (SSRIs). Some forms of anxiety, however, are relatively resistant to treatment with these agents. In addition, either benzodiazepines or SSRIs can be associated with severe side effects, such as sedation, memory deficits, dependence and withdrawal, sexual dysfunction and weight gain. Further, the 5-HT1A receptor partial agonist buspirone has a somewhat limited use. Although it is generally well tolerated with few side effects, it has lower efficacy and its onset of action is slower than previous drugs such as the benzodiazepines. Thus, there is an urgent need to develop alternative treatment strategies. 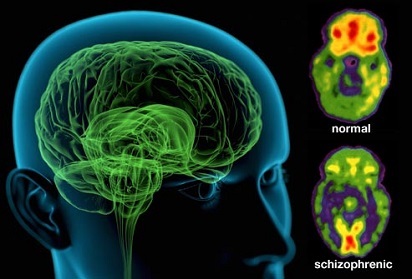 Schizophrenia is a serious mental disorder that affects up to 1% of the population worldwide. It is a complex heterogeneous syndrome which impairs social, occupational and individualfunctioning and results in a remarkable decline in the quality of life of patients. Its aetiology and pathophysiology remain unknown. Schizophrenic patients suffer from enduring and persistent psychotic symptoms, which can be divided in three major types: positive symptoms (f.i.,hallucinations, delusions, disordered thought processing, catatonic behaviour), negative symptoms (social withdrawal, anhedonia, avolition) and cognitive disturbances (deficits in attention and memory). Abnormalities in a number of neurotransmitter systems, most notably the dopamine, glutamate, cholinergic, the serotonergic and the GABAergic systems, are thought to be important for the appearance of this disease. 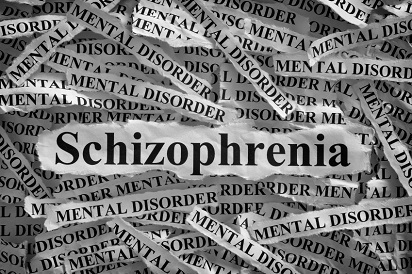 In particular, positive symptoms of schizophrenia are associated with an excess of dopaminergic neurotransmission, in striatal brain regions, while negative symptoms and cognitive deficits are linked to dopaminergic hypofunction in prefrontal brain regions. Moreover, consistent experimental evidence proposes a role for glutamate hypofunction in the pathophysiology of schizophrenia. NMDA receptor dysfunction is linked to secondary dopaminergic dysregulation in striatal and prefrontal brain regions. In addition, clinical observations have demonstrated that pharmacological blockade of NMDA receptor produced the component symptoms-negative symptoms and cognitive impairment that were neither affected by antipsychotics nor produced by dopaminergic agonists. Further, inhibitory GABAergic neurotransmission appears to be impaired in schizophrenia patients. In this context, it is important to underline that GABAergic firing regulates dopamine transmission in the prefrontal cortex and a GABA interneuron deficit in schizophrenia has been proposed to underlie some of the clinical symptoms. Although traditional antipsychotic drugs have demonstrated utility in treating the positive symptoms of schizophrenia, current treatments are limited in their ability to alleviate the negative and cognitive symptoms’ clusters and often are accompanied by significant side effects which themselves impact the quality of life. Finally, one third of patients are resistant to currently available medication. Therefore, there is an urgent requirement to develop new molecules for the treatment of schizophrenia. Studies performed in rodents revealed a certain anticonvulsant activity of aqueous and ethanolic extracts of Crocus Sativus and its active component safranal. Saffron and its active constituents affect a number of different neural processes. These molecules conferred protection in a rat model of Parkinson disease (PD) and in animal models of cerebral ischemia. Accumulating evidence indicates that Crocus Sativus and its major component Crocin are significantly involved in cognition. Preclinical studies demonstrated their efficacy in attenuating memory disorders in animal models related to Alzheimer disease (AD), cerebral injuries or schizophrenia. Clinical research has evaluated the efficacy of Saffron in humans suffering from memory problems as are the Alzheimer disease (AD) patients. The results of clinical studies indicate that the effects exerted by ethanolic extracts of saffron on cognition were not different than those expressed by thereference compounds donepezil and memantine in reducing the cognitive decline in patients with mild-to-moderate and moderate to severe AD. In this context, it is important to emphasize the good safety profile of saffron which was revealed in all clinical studie. Crocus Sativus and its active components crocin and safranal have shown antidepressant-like effects in animal models of depression. Importantly, clinical research findings reinforced preclinical results and proposed that saffron is efficacious for the treatment of mild-to-moderate depression. Interestingly, it has been demonstrated that saffron antagonized sexual dysfunction in humans induced by the SSRI fluoxetine which is the widest used antidepressant in our days. Preclinical pharmacological studies have demonstrated that Crocus Sativus crude extracts and purified chemicals possess anti-tumour effects. Saffron and its ingredients display antinociceptive, and anti-inflammatory properties, reduce atherosclerosis and hepatic damage, counteract hyperlipidaemia, provide protection from myocardial injury and display antihypertensive action. The effects exerted by saffron and its components in the aforementioned pathologies were also extensively discussed in different reviews. The outcome of these preclinical studies indicates that Crocus Sativus and its components exert a beneficial action in several pathologies. It is important to underline, however, that up to now there has been no clinical information on the potential efficacy of saffron and its constituents in the aforementioned pathologies. Future clinical research should address this issue. 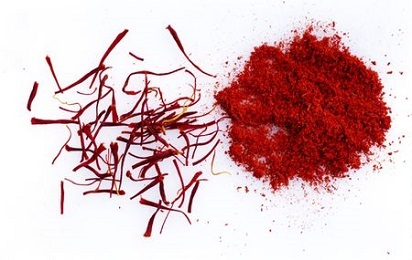 Toxicity studies have demonstrated that the hematological and the biochemical parameters were within a normal range in mice treated with saffron extracts. It has also been reported that the oral LD50 of saffron was 20.7 g/kg administered as a decoction in mice. Further, a recent work investigated either the acute (up to 3 g, both orally (p.o.) and intraperitoneally (i.p.)) or the sub-chronic effects of crocin (15–180 mg/kg, i.p.) in different biochemical, hematological and pathological parameters in rodents. The results of this study demonstrated that chronic treatment with Crocin did not alter the weight of heart, lung, liver, kidney and spleen. Crocin, at the highest dose (180 mg/kg), increased platelets and creatinine levels, and reduced food intake and body weight. A decline in alveolar size in lungs was observed following the highest dose of crocin (180 mg/kg). The authors concluded that crocin, at pharmacological doses, was not shown to markedly damage any of the major organs of the body. Interestingly, the findings of clinical studies suggest that both Crocus Sativus extracts and crocin display a relatively safe and normal pharmacological profile. Specifically, in a double-blind, placebo-controlled trial conducted among healthy volunteers, a one-week treatment with saffron (200–400 mg/day) did not evidence particular alterations. The results of another double-blind, placebo-controlled study performed in healthy volunteers also showed that administration for one month of crocin (20 mg/day) did not elicit significant alterations of different hematological, biochemical, hormonal and urinary parameters recorded. There is scant experimental evidence, either preclinical or clinical, regarding the involvement of Crocus Sativus and some of its active constituents in anxiety and schizophrenia. In spite of it, the few preclinical results are of certain consistency. Several issues, however, have not been addressed at all. There is no information on the potential efficacy of saffron in other anxiety disorders such as GAD, social phobia, panic and PTSD. There is also poor information regarding the potential antipsychotic action of saffron. There is no experimental evidence whether these compounds can counteract attentional deficits which are considered as a prominent aspect of cognitive dysfunction in schizophrenia. Additional research, using genuine animal behavioural models, is mandatory to establish whether these molecules might be a potential therapeutic tool for the treatment of anxiety disorders and schizophrenia. In this context, it is important to emphasize the good safety profile of saffron which was revealed in all preclinical and clinical studies here presented.